Magic of Myths - a miniseries by Corey Brotherson and Sergio Calvet | "Sometimes fantasy is the only reality we have…"
Posted by cbrotherson in artwork, magic of myths pipework, updates. We know it’s been a while – sorry about that. While personal things have been creating their usual ups and downs, we’ve been trying to stay the course and keep the good ship MoM afloat. The result is that 2019 will see a number of Magic of Myths related things coming to light. Season 3 is still being worked on, but due to its sheer size (the entire of chapter one at the moment is already as big as the entire S1 of Magic of Myths, to give you some idea of just how big this book is going to be) we can’t say for certain it will launch this year. But that doesn’t mean there won’t be new Magic of Myths books on the way, along with a few other things… we’re aware that our audience has been growing, and with it new opportunities have been emerging, along with ideas of how to branch MoM outwards in different ways. Posted by cbrotherson in artwork, magic of myths pipework, preview. We’re happy to reveal that the latest entry to our Magic of Myths universe – Pipework – will launch on 13th October at The Lakes International Comic Arts Festival. While we’ve been quiet on the site, a brand new Magic of Myths tale has been in the works – artist and co-creator Sergio Calvet has created another new short story called Magic of Myths: Pipework. Posted by cbrotherson in magic of myths faerie. Yup, the ComiXology love keeps on flowing. 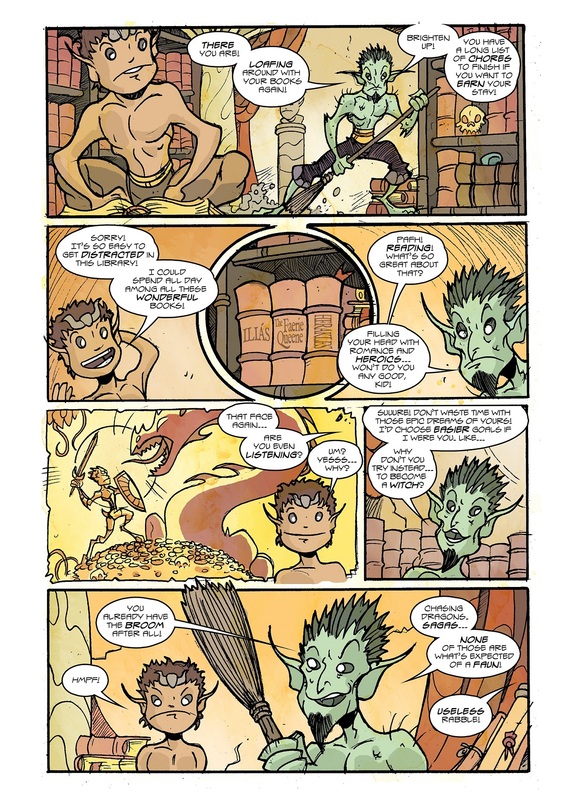 Not only is the Sandman/Shakespeare inspired Magic of Myths: Faerie hitting its 5th print run this month, but the digital version has now arrived on the Amazon-owned comic book store, ComiXology for just a mere 69p / 99 cents. So, less than the cost of your average chocolate bar – and lasts longer, too. Posted by cbrotherson in magic of myths season two. Well, to kick off 2018, we’re pleased to tell you that the out of print Magic of Myths: season two (digital) is now available to buy from the Amazon-owned comic book store, ComiXology for just £1.99/$2.99. This is the only way to purchase season two on its own (otherwise you have to buy the omnibus editions, which features both seasons), so if you’ve been waiting for a chance to continue from season one, here’s a handy way to do so.